Grant Ferguson (Boardman Elite) took an impressive victory today at the Callendar Christmas Cross at Callendar Park in Falkirk - a new event over a great course at an outstanding new venue. 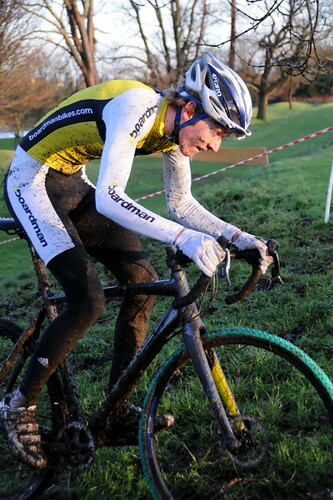 We hope to include Callendar Park in next year's Scottish Cyclocross Series. Other results are available here. Thanks to organisers, marshalls and officials for a fantastic event to round out the 2011 season. Good luck to everyone racing at the British Cyclocross Championships. First Scottish cyclocross race of 2012 is Dig In Around The Dock on 29th January in Bo'ness. Keep an eye on the Scottish Cyclocross group on Facebook and here for more details. The Tri Centre Scottish Cyclocross Series - Final League Tables!